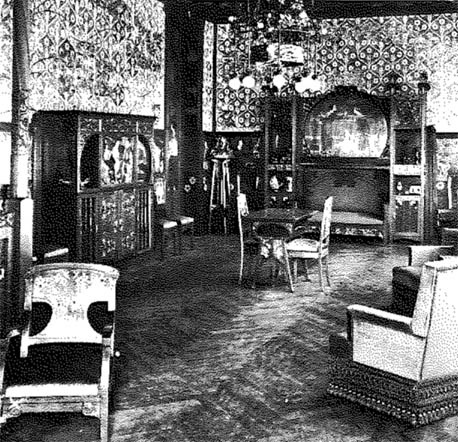 The Lleó Morera house, at Passeig de Gràcies 35, had one of the most notable and best conserved sets of interior decoration of Modernisme on its main floor. Domènech i Montaner carried out the project in 1905, and commissioned the cabinetmaker Gaspar Homar (in Spanish) with the decoration of the floor destined for the owners of the property. Homar conceived elements such as lamps and lighting appliances, curtains, upholstery, and a long etcetera. 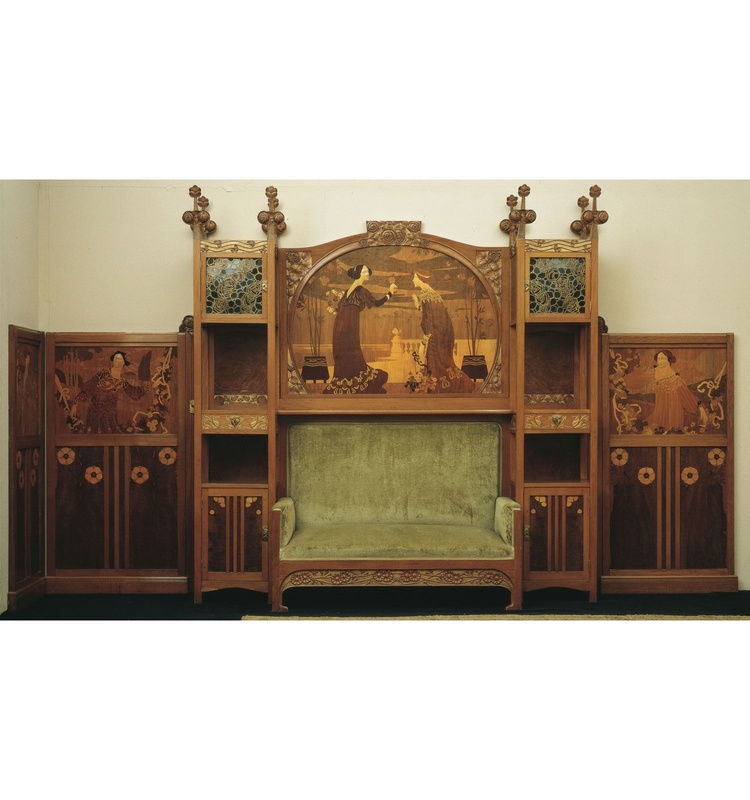 As well as the essential furniture, of which it is worth highlighting the marquetry work of the central panels, with designs by the draftsman and painter Josep Pey, who follows a thematic symbolism very much appreciated at the time. One of the triumphs of Homar was to update the types of furniture, like the sofa-chair, of medieval style, or the chest of drawers on a trestle table, the Bargueño desk, to which ornaments were applied, turning them into genuine and impeccable pieces of furniture. A recuperation from the past that is also present in the eleven pelmets over the doors of the flat, made by the sculptor Eusebi Arnau (in Spanish), in which there are iconographic topics from the traditional nursery rhymes. On the mezzanine floor the building had two large galleries also decorated by Arnau, with feminine figures of Pre-Raphaelite inspiration.